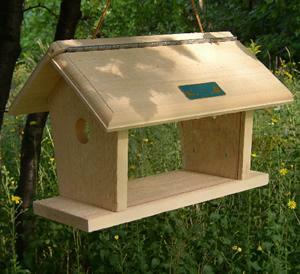 Since 1990, Coveside Conservation Products has been delivering the finest bird feeders, birdhouses and bat houses to its customers. The products are crafted with the utmost care and make the perfect gift for any bird lover. Coveside's collection of window bird feeders allows you to get up close and personal with birds from the comfort of your own home. 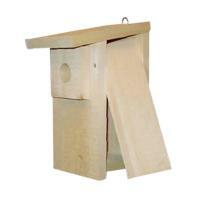 With handcrafted nest boxes for every species, Coveside Conservation Products has anything you need. The only way to squirrel proof window bird feeders is to make a crossed hatched and bowed out metal cage around the feeder. (bowing out helps keep their tongue and fingers aesy from the seed. Best bluebird feeder ever. Birds were in it within hours. Excellent craftsmanship. 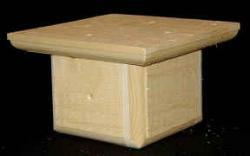 Two bits of information that should be provided and are not, especially helpful for the novice purchaser, are wood preserving/finishing suggestions or warnings and suggestions for pole mounting. Maybe they should put the height on the unit, not just the length!!! Its about 4/5 inches in height. We love it... and more importantly, our bird friends do, too! It brings them right into our living room! Was a little difficult to get on the post but once it was it looks great.